Comments: This camphor tree grows in warm climates of the country and produces a beautiful upright growing tree with long, narrow, shiny green leaves with parallel veins, and they hang loosely from the tree. A special feature of the tree are the copper colored leaves that emerge in the spring giving the tree an unusual foliage color. 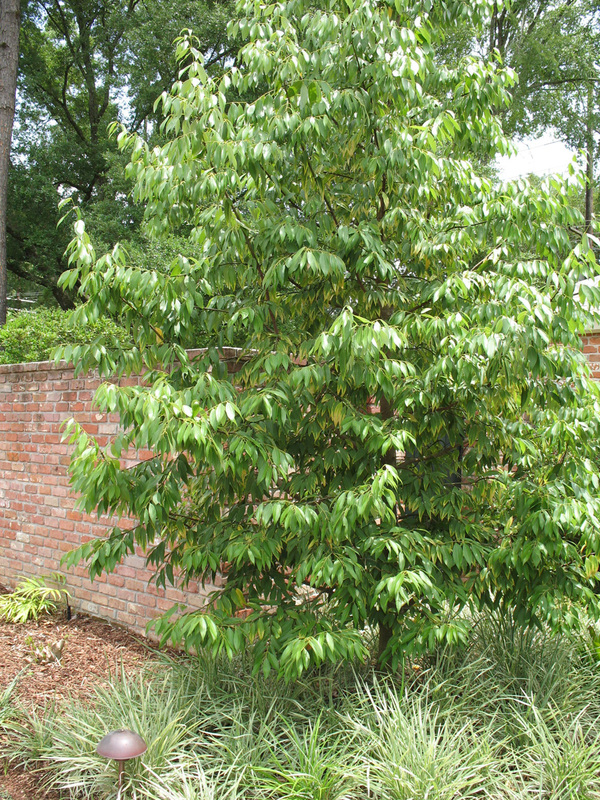 It is reported that this camphor will grow in colder climates than the better known camphor tree (Cinnomomum camphora) that grows near the Gulf Coast.